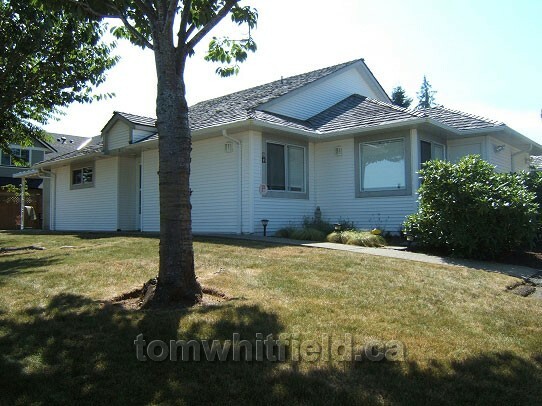 In describing real estate for sale in the Qualicum Beach and Parksville areas, as in any location, there is often confusion about what Strata title is and use of the term Condominium. Strata ownership is defined as owning a specified part of a piece of real estate (your unit) which is individually owned while having access to common facilities or areas. Home styles include Patio (1 level), Townhome (2 level), Apartment style (multi-level), while all are called Condominiums. Read more about the area’s condominiums. You could also have a Duplex home with side-by-side homes or you could have one lot with 2 separate homes and a Strata title. 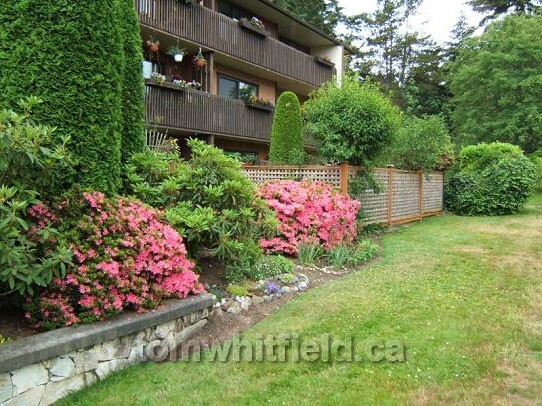 A Qualicum Beach patio home condo with lawn and shrubbery. Next, we move on to Bareland Strata title. Here, you own the land outright and are responsible for all yard and home maintenance, as with a regular Freehold title. 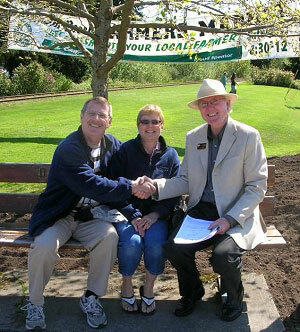 There is also common property in the development that all owners share. 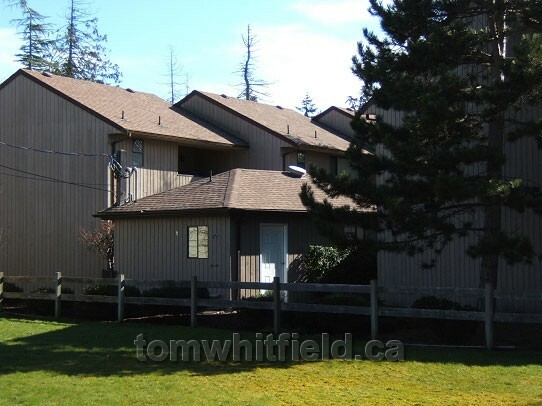 A townhome style condo in the Qualicum Beach area. One way to know for sure whether a property is Strata title or Freehold title, is to look at the legal description for the type of Plan number: VIS for Strata or VIP for Freehold.